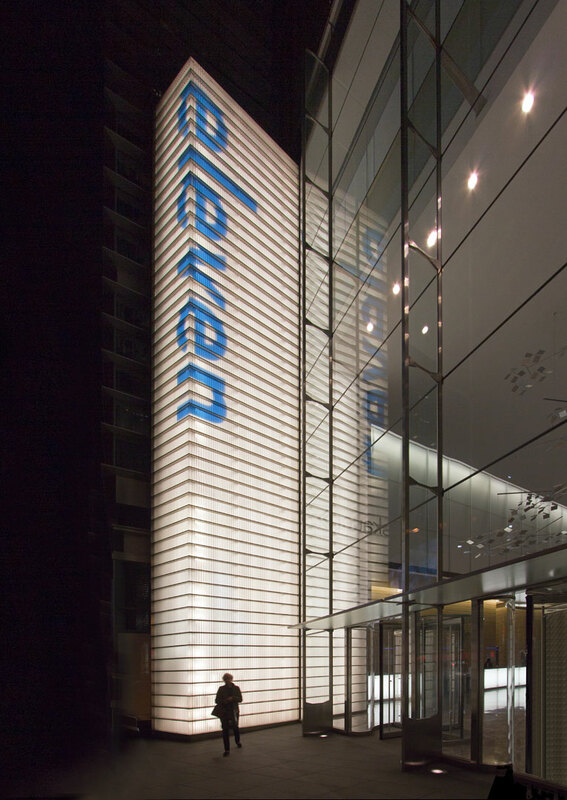 Fourth in a series of major Times Square Office signage and wayfinding programs we have completed, a fifty-foot illuminated beacon identifies FXFowle’s Eleven Times Square. A comprehensive signage program including this beacon and the Subway station on 42nd Street are all part of this new development. Despite its Times Square address, it actually sits on Eighth Avenue immediately north of the New York Times building. See more details in our Projects section.